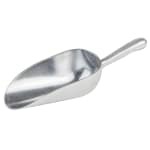 "These handy little scoops are designed with ergonomics in mind, are a solid product, & look good in our candy store. At this price, do not hesita..."
Great 5oz scoop at a great price! "These handy little scoops are designed with ergonomics in mind, are a solid product, & look good in our candy store. At this price, do not hesitate to add these to whatever you have in mind for them."